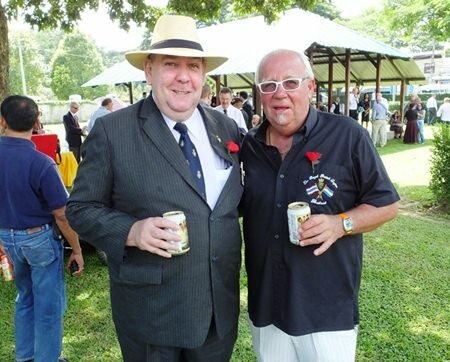 November is of course a busy time of year for members of the Royal British Legion wherever they might be, including Thailand. Planning, however, starts many months before that. We were involved with three Remembrance Services this year and four events. 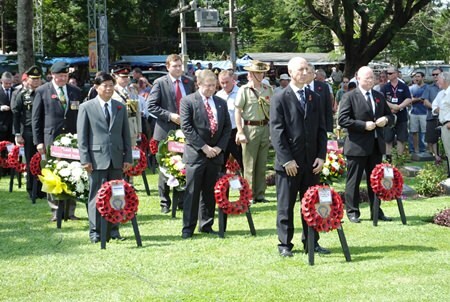 First, we attended Remembrance Services at the British Embassy on 4th August to commemorate 100 years since the start of WWI; then 9th November for Remembrance Sunday and on 11th November we held our own Service of Remembrance at Kanchanaburi War Graves, and we also held a Wreath Laying Ceremony at Chung Kai War Graves the same day. 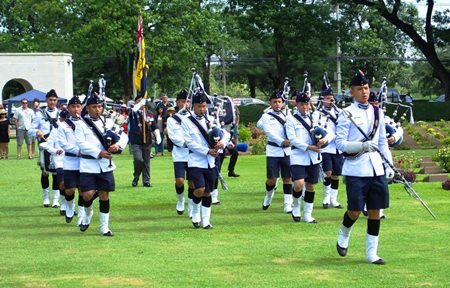 As far as events go, we held our Annual Poppy Golf Tournament in aid of the Poppy Appeal and Thai Veterans on 7th November; we also held another Remembrance Tournament in Kanchanaburi on 10th November for the Poppy Appeal. Both days produced fine golf, fine weather and fine results for both the winners and the Poppy Appeal. Many of you will be aware of the war graves in Kanchanaburi and the Thai/Burma Railway, or Death Railway as many people refer to it. The history of the two war grave cemeteries in Kanchanaburi really starts south and north of there. Members arriving for the Kanchanaburi Service. South to Singapore where most of the POWs forced to work on the Railway travelled from, and north up to Three Pagodas Pass where most of those who died were initially buried in POW camps along the railway. They were moved to Kanchanaburi after the war (those killed on the Burma side of the railway are buried in Thanbyuzayat War Graves). Event Organiser Bert Elson (left) with Head of Catering Greig Ritchie (right). Over a period of 10 days before our service on 11th November, 3 members of the Royal British Legion Thailand Branch covered the length of the railway. 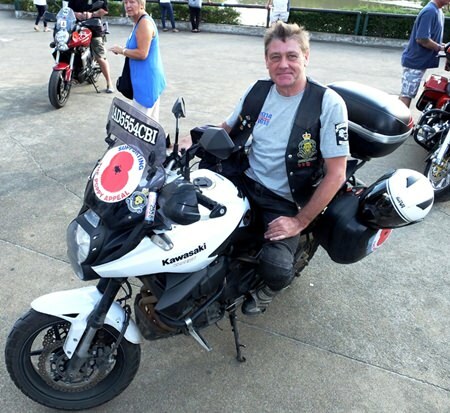 Bruce Lancaster, a member of our Thailand Riders International, rode his motorbike from Pattaya to Singapore. 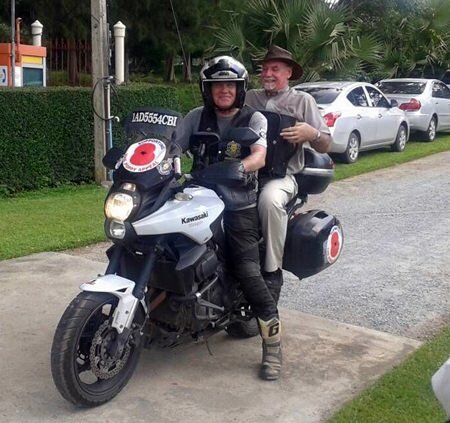 He then travelled from Singapore through Malaysia, and Southern Thailand following the route of the railway wherever possible up to Three Pagodas Pass, then travelling back to Kanchanaburi, arriving in time for the Remembrance Service on 11th November, a total distance travelled of around 5,100K. 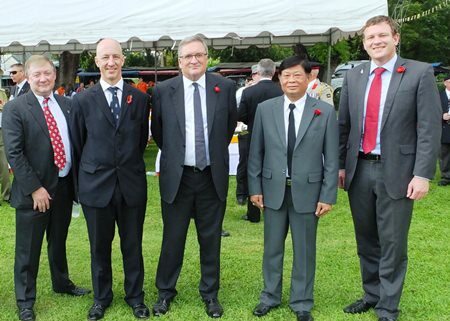 Four Ambassadors and the Governor of Kanchanaburi, the first event for Thailand’s new Irish Ambassador Brendan Rogers. 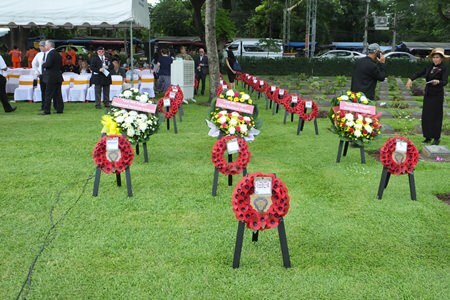 The rider and walkers did their respective challenges for two reasons, respect for those who are buried in the two war graves in Kanchanaburi and to raise funds for the Royal British Legion Poppy Appeal. Wreaths at the River Kwai ready to lay. 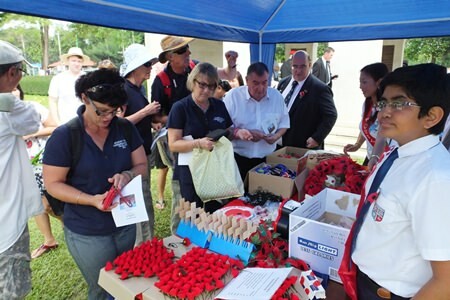 As well as all the events, our Poppy teams have been out and about throughout Thailand. We put boxes out during the last week of October and collected them in again from 12th November. Early reports are looking good. All money raised from Poppy boxes and donations goes to the Poppy Appeal, money raised through Poppy Golf is split between the Poppy Appeal and Thai Veterans Hospital. 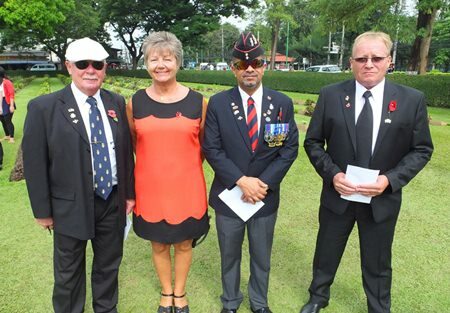 Last year we spent 826,822 baht on UK veterans who were in need in Thailand. All of these services and events need funding and we would like to thank the many sponsors and individuals who helped us this year, including MBMG, Pattaya Realty, Manpower Group, Twinning’s Tea, Royal Bank of Scotland, Rolls-Royce, BAE Systems, Prime Foods Pattaya, Singha, British Embassy Bangkok, Defence International Security Services, 1 More Bar and the Commonwealth War Graves Team Kanchanaburi. 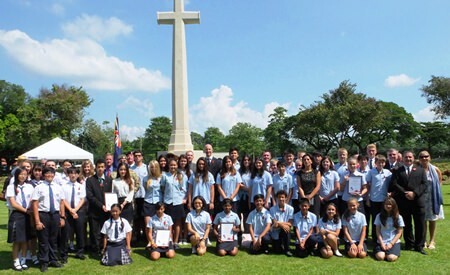 We would also like the thank Rodney Charman for taking all the photos, and schools supporting our WWI project, St Andrews Green Valley, Regents Bangkok, Shrewsbury Academy, Harrow and Bromsgrove Bangkok. You still have time to donate, there is always a Poppy Box in Tropical Bar Soi Khao Noi or Tropical Bert’s Soi 6/1. 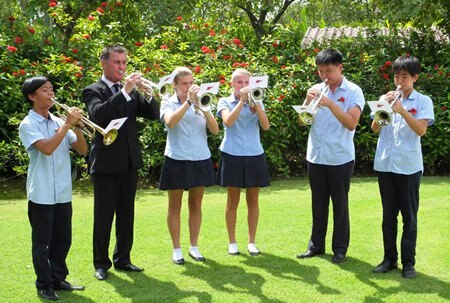 Students from Regents Pattaya play Last Post at Chung Kai War Cemetery. Poppy Shop doing brisk business. The walkers Richard Stacey and Gary Grand finish at the Bridge over the River Kwai. Lone Rider Bruce Lancaster after his 5,000K ride. Rev’d Tim Eady arrives in style. International Schools with the British Ambassador.